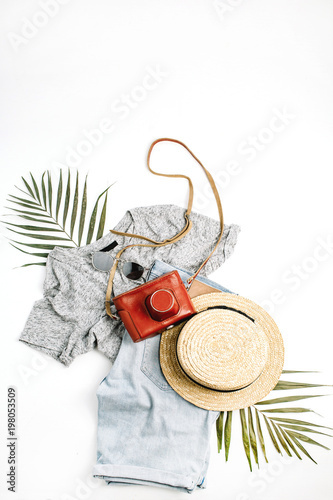 Woman fashion travel flatlay. Retro camera, straw, shorts, sunglasses and tropical palm leaf. Top view, flat lay.